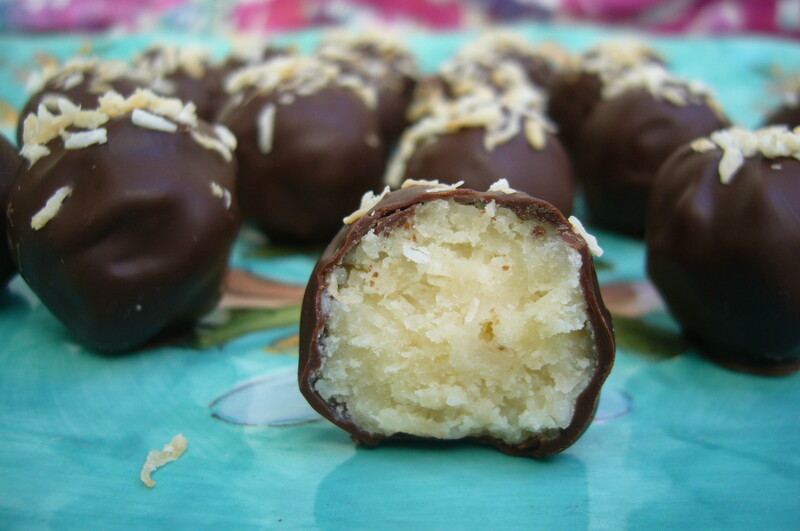 If you like coconut, you will love these. Made from white chocolate, coconut milk, toasted dessicated coconut and honey, these sweet treats are rounded off with a thin coating of dark chocolate to balance the sweetness of the centre. They are a little chewy and remind me of a Bounty bar. Oh my goodness! The look scrummy! And they are ALMOST primal! Great meeting you yesterday at the Barclays course. These look delicious and you should have brought some to the course – it would have made it soooo much better. 🙂 We’ll be in touch when our classes start and maybe you’ll design a BARREtoned truffle for our opening once we have our logo.